Our purpose is to help patients fully recover from stubborn health problems and to prevent these issues from coming back. At the same time we work to help the person improve their health so that their quality of life and stability of health are improved. We don’t treat a patient a few times to help them feel a bit better for awhile. Patients come to us to help them resolve the causes of their problems, regain their health and then maintain that health for the rest of their lives. We accept only those patients who are qualified to get excellent results. Patients are initially tested to find the main stresses preventing their bodies from healing. We then use a detailed process to determine if a patient is a good candidate for our programs. If a patient is not qualified for any reason, we cannot accept their case (we offer referrals in these situations). The first step is an initial evaluation visit to find out if we can help you and if so, what would be required. The cost of this visit is $270. This fee includes a second visit for an extensive consultation on the test results, what they mean and what could be done to improve your health. There is no other cost until you know all the information about your proposed health improvement program (what would be done, how long it would take and what it could cost) and you are ready to get started. Our programs are designed to handle your health condition to a stable, final result. Patients do an individualized natural health improvement program called EvecticsSM, which integrates multiple nutrition and acupressure therapy techniques along with diet and lifestyle consulting and education. Our goal is to complete your active program as rapidly as possible. Our goal with every patient is to return their bodies to a self-healing condition and reduce the level of care needed to maintain health. We educate patients to allow them to take over the job of maintaining a stable, healthy life and graduate them to a Wellness Program where we act primarily as consultants. We specialize in difficult cases that have not responded well to medical or alternative treatments. We have numerous tools and protocols to help with really difficult or “impossible” cases that have resisted all previous efforts. Patients are always fully informed about all aspects of their programs. You’ll know what results to expect, how long it is likely to take to achieve this, and what you’ll have to do to get there. There is never any mystery about time, diet and lifestyle changes or finance. Could This Approach Really Work? Sometimes people are skeptical that assisting the body to heal itself could work when all their efforts with advanced medical technology have failed. However, patients are often amazed as they experience the power that their own body has to heal itself. Patients find that with us they get stable RESULTS instead of just a diagnosis or explanation of why they aren’t getting well. In the final analysis, only the body can rebuild its tissue and repair its function to get back to a state of normal health. It is an accepted medical fact that drugs and surgical techniques work by making it easier for the body to heal itself and by themselves can do nothing. You may not be familiar with the effectiveness of our approach because health care in the United States has increasingly fallen under the influence of the pharmaceutical and insurance companies, politically powerful lobbying organizations and the government. There has been a long-term effort to convince the public that the only way to be healthy is to take more and more expensive drugs and have (frequently needless) expensive surgeries. The cost of this is hidden in health insurance which is paid for in lowered wages by employees (you! ), but presented as a benefit. To allow the truth about the body’s own ability to heal itself to be officially validated is perceived by the status quo to be damaging to their system. A chronic health problem is one that happens continuously or recurs frequently, such as diabetes, high blood pressure, menstrual problems, joint or muscle pain, digestive problems, sleep, fatigue, depression, etc. Medical doctors manage these types of problems, usually with drugs. There is little effort spent on discovering the cause of the problem or permanently resolving it. You could define a “chronic” health problem as “a problem that medical doctors don’t know how to fix.” This is why the problem continues on even with medical treatment. Medical doctors are “allopathic physicians.” Allopathic means, “Treating the system that causes the symptom.” For example if a bone is broken, the system causing the symptoms (swelling and pain) is the bone itself. An allopathic (medical) doctor will treat the bone, with good result. As long as the cause of the problem and the symptom are the same, the allopathic model works well. Chronic health problems are caused by a compromise in the body’s normal healing ability. This isn’t general, where the body overall “can’t heal” but in one or more specific areas (such as the heart or kidneys or ovaries or small intestine). There are specific causes for the problem in each area, such as, the kidneys can’t heal because of viral stress, or the ovaries can’t recover because of fungal stress. When this healing interruption occurs, the body compensates: it adapts to the stress of the unresolvable problem to keep itself functioning. If the body is successful with this, the person will never experience any symptom at all. Over time with the body still not able to heal the stress mounts up. The body continues to repeatedly compensate and the person still experiences no symptoms or minor symptoms. But when the stress finally becomes overwhelming and the body fails to compensate, it is forced to have a major symptom. This can occur soon after the problem starts or many years later. This major symptom occurs at the end of a series of compensations by the body, and the specific symptom often has little to do with the original problem. An allopathic (medical) doctor will treat the symptom created by the body at the end of this series of compensations. Because this symptom has little to do with the original cause of the problem and because only the body can restore its own ability to heal, the treatment will only suppress the symptom temporarily. This requires continuous treatment to control the symptom, usually with drugs. Meanwhile, nothing has been done about the actual cause of the stress, which becomes worse over time. The solution to chronic health conditions is to identify the specific areas in the body that are unable to heal, and assist the body to heal them itself. Attempts at invasive treatment (i.e. medical drugs or surgery) are ineffective here, as proven by the simple fact that chronic health problems don’t get well when treated this way. 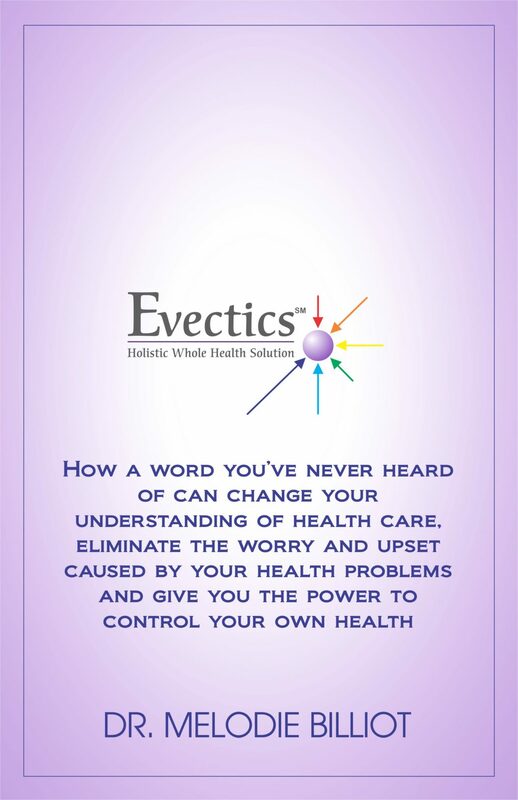 Alternative Health Atlanta uses a new approach to health care called EvecticsSM that assists the body in healing itself, while allowing the body to “be its own doctor” and decide for itself what needs to be done and in what sequence. – Learn about our treatment programs. – Read about the health problems we have resolved. Tell Us about Yourself and Your Problems. Learn About Us.